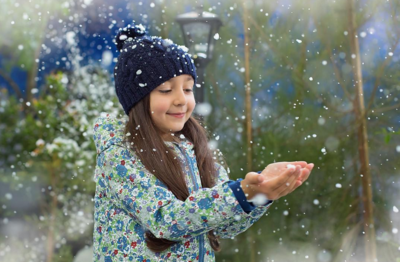 In case you missed the announcement, The Big Freeze Festival is coming these July school holidays under the Big Top to Fountain Gate Shopping Centre. This is an exciting time for snow lovers who don't want to travel all the way to the Victorian snowfields. Why? Because snow, and lots more wintery activities, are on Melbourne's doorstop, and the fun is all indoors so it won't matter what the weather is doing, either! Kids will get to play in the snow, ride the brand new snow slides, toss a snowball, walk through the snowfall forest, play in the winter village, get active in kids' challenge, learn circus skills, build in the construction zone, race down the polar bear slide, get creative in the igloo craft zone and take a photo in the snow globe. If last year's Big Freeze Festival is anything to go by, your family will be in for a treat! Cost: Child Superpass $29.50 (that includes a 4 Park Pass to Phillip Island Nature Parks valued at $28.50), Adults $19, Family $92 and extra savings for some afternoon sessions. 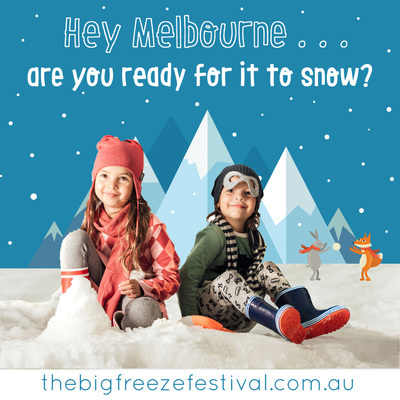 In an exclusive KidTown Melbourne promotion, we've got a Family Pass (2 adults and 2 children) to giveaway to The Big Freeze Festival for the Tuesday, July 4 from 9am - 11:30am session. This giveaway will be held on our Facebook Page where we would ask you to like the Facebook Post and comment why you would like to win the family pass. Head over to facebook.com/KidTownMelbourne to enter. Comp opens Monday 5 June and will run for one week; ending Sunday 11 June @ 5pm AEST. The winner will be contacted and announced on Facebook. Please note this promotion is in no way sponsored, endorsed or administered by, or associated with, Facebook.